This is the first time we have met in Geneva since 2011, with the Plants Committee having met in Dublin, Ireland, Veracruz, Mexico and Tbilisi, Georgia since that time. We are most grateful to the Government of Switzerland for making this venue available to us, where we have another 5 days of meetings ahead of us for our joint meeting and this Committee. You missed out on the beautiful sunny weather when the Animals Committee started but you also missed the problems with the Wi-Fi! For those of you who attended the opening of the Animals Committee, apologies for repeating some of my opening statement to that Committee, but it is important for both Committees to have the same information. 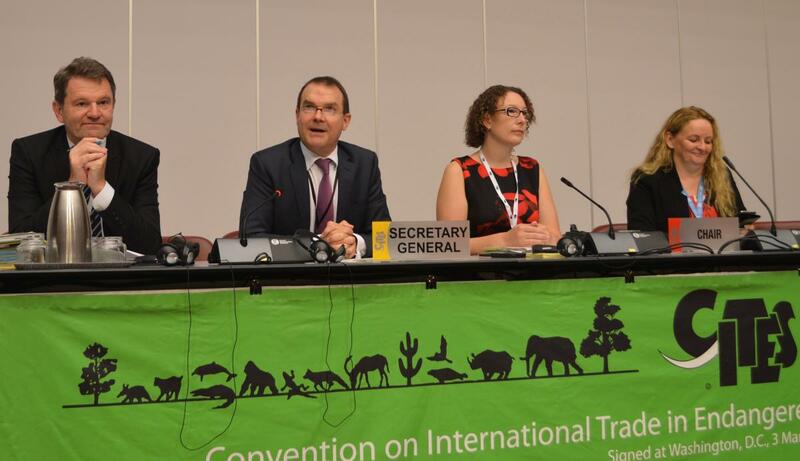 The enthusiasm and interest in CITES reflected at CoP17 has carried over to our Animals and Plants Committees. We have 175 registered participants for this Committee, which is the largest number ever, in fact being the first time we have had over 150 participants. This week we will have over 500 people participate in the meetings of both scientific committees and the joint committee meeting. Firstly, we would like to warmly welcome Adrianne Sinclair as new Chair of the Plants Committee. 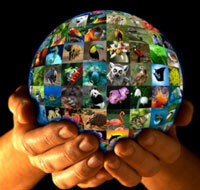 She has deep experience of the work of this Committee and of CITES more generally. We are most fortunate to have Adrianne as our Chair to guide us through to CoP18 and beyond. We also warmly welcome new Committee members from Africa, Asia, Latin America and Europe and Alternate Members from Africa, Asia and Europe. I would also like to acknowledge Professor Margarita Clemente as Chair of this Committee from 1997-2015. A big welcome also to all Committee Members and Alternates, Party observers, and intergovernmental, non governmental and private sector observers. Trees and timbers dominate your agenda and will attract a lot of attention. As you know, over 300 new tree species were added to the Appendices at CoP17, the implementation of which is of great interest to those trading in logs, sawn timber and finished products, such as musical instruments. It is important for us to get the implementation of these new listings right, and in addition to working with our Committees and Parties we will, amongst others, be engaging with the private musical instruments sector in this regard. You also have many other interesting and important agenda items, including on orchids, African cherry, East African sandalwood and Agarwood, and wider issues to do with timber identification, non-detriment findings and the Global strategy for plants conservation. Thank you to all Committee members and Alternates for volunteering your time and expertise to CITES and to our new Chair Adrianne for her commitment and support. With that please join with me in welcoming Adrianne as Chair of the Plants Committee and in inviting her to make her first introductory remarks.